Second screens – already applications like Zeebox are causing a buzz, providing a way to look up and comment on programmes being shown on the big screen using a mobile or tablet; expect there to be many more apps that link to television shows, both scheduled and on demand and many crazy ideas. Every show will have an app and there will be those who try to provide more holistic services (think IMDB). Standardisation ? – with the launch of the Horizon set top box by Liberty in Europe and the UK’s YouView a new set of standards for television interfaces and boxes are appearing. But the fragmentation will remain a problem - app for iOS, app fro Android, app for Windows, app for Smart TV - how many apps will you need to deliver ? Rise of the New Broadcasters – it’s not just major new American players such as Amazon with Lovefilm , Netflix and Hulu that are entering the market, but everyone from supermarkets (Tesco in the UK and WalMart in the US), chip manufacturers (Intel) and screen manufacturers (Samsung) have or will be launching video on demand services. Television becomes portable – more and more television is being watched on mobile and tablet computers that people carry around with them and we expect this to grow to 30% of all TV viewing within the next three years. 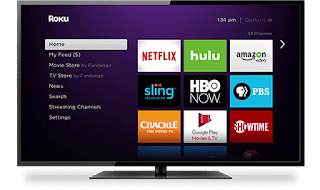 Smart TVs aren’t so smart – the vast majority of connected or smart TVs are never plugged into the internet, and the dream of having TV apps has floundered. Samsung has already announced a more simplified interface to its television screens. Apple fails - yes, they've had their zenith, but their walled garden approach which was their initial success will be the reason for their ultimate failure. HTML5 – the death of Flash has arrived and HTML5 is now the dominant delivery platform for video. However, the big stumbling block for this is that most video advertising is delivered as Flash, in a world where 95% of devices are HTML5 compatible. Automated video ad platforms – systems such as Google Adwords have enabled commercial models for websites and blogs for a long time, but such systems haven’t been available for video sites and IPTV services: however, over the coming year we expect such services to become available starting with Google’s AdX. Monopolies Will Rule - governments in the UK and US have allowed companies such as Google to run roughshod over any concept of commercial equaninimity and will remain cowered against the power of these monopolies in 2013 making innvoation and the ability of fast growth companies to develop impossible. Indeed, Google, Facebook and Apple will be more powerful than any European government in real terms. Dragging Economies - the Eurozone will largely become a stagflated mess, incapable of generating any growth as countries hang on for the dream of a federal (ie German-controlled) Europe. Any company not looking to Brazil, Indonesia, Mexico, Kenya and even Turkey for growth will suffer. Smart TVs will be TVs - the smart bit will continue to be irrelevant. YouTube - what is it: a platform, a broadcaster, a UGC site ? YouTube is a mess that I believe to still be loss making since 99% of the content uploded is never viewed but has to be stored and 99% of what is viewed cannot be commercialised. Expect it to become much more of a broadcaster in 2013. AMS - digital asset management systems, media asset management systems, whatever you call them, the TV world is now fully digital and has brought a whole world of pain with it. Terms like 'workflow', 'metadata' and 'proxies' are now common parlance in production companies all over the world and the demise of tape has brought horrible working practices to light such as the tendency to pop down to Fry's or PC World to buy hard drives. It has also resulted in products that don't work - I have endless stories of LDAMS that don't work. Mobile - duh! But it's amazine how few video apps there are out there.. The Video Agency - yes, you had your ad agency, your PR agency, your web agency, next is the rise of the video agency, who will advise clients on all aspects of using video to communicate their brand.